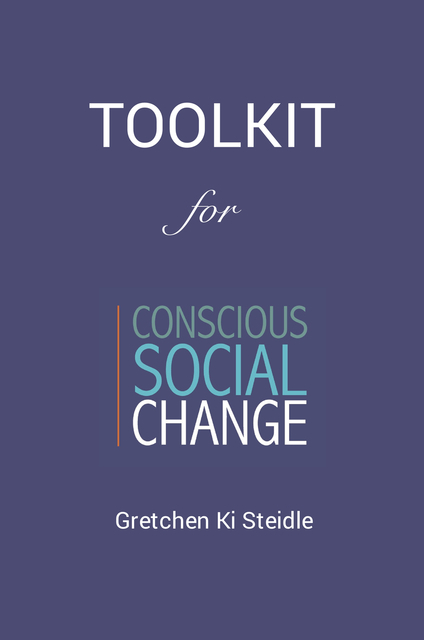 The Toolkit for Conscious Social Change, a companion to the book Leading from Within: Conscious Social Change and Mindfulness for Social Innovation (MIT Press, 2017), is a practical “how-to” guide designed for immediate application by social entrepreneurs, educators, community leaders, organizational executives, students, and any individual in the position to create change. It will provide a brief overview of the philosophy, capacities, and potential outcomes of conscious social change, then offer an in-depth guide to this mindfulness-based design methodology composed of over 60 mindfulness tools, frameworks and practices. The Toolkit is designed to help change agents cultivate self-awareness, forge better relationships, understand change from the inside out, and incorporate mindfulness into the process of designing more sustainable and impactful solutions. Gretchen Ki Steidle is the founder and President of Global Grassroots, an international NGO working at the intersection of mindfulness and social entrepreneurship to catalyze the ideas of grassroots women in post-conflict East Africa. She most recently published the book, "Leading from Within: Conscious Social Change & Mindfulness for Social Innovation." Gretchen is a producer of the thrice-Emmy nominated documentary film, The Devil Came on Horseback and co-author of the memoir of the same title. She holds an MBA from the Tuck School of Business at Dartmouth and a BA in Foreign Affairs from the University of Virginia. She is a certified breathwork practitioner, which she uses for trauma-healing globally. In 2007, Gretchen was honored by World Business Magazine and Shell as one of the top International 35 Women Under 35. In 2010 she was chosen as a CNN Hero working in Haiti after the earthquake. In 2011 she was chosen one of seven Remarkable Women of the World by New Hampshire Magazine.